He took a closer look at the engagement photos and burst out laughing! 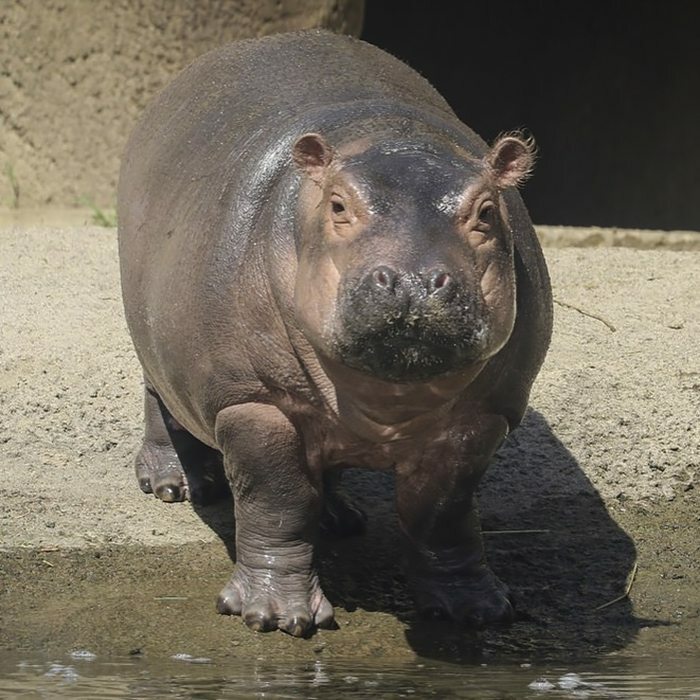 Fiona the Hippo was born six weeks early at the Cincinnatti Zoo in January earlier this year, and survived only with the help of the experienced medical team. Fiona’s birth immediately became a national sensation since then. Currently at 5 months old, Fiona had become a social-media star and an icon of the zoo. Ever since Fiona was born, the zoo’s Facebook page follower numbers has doubled. 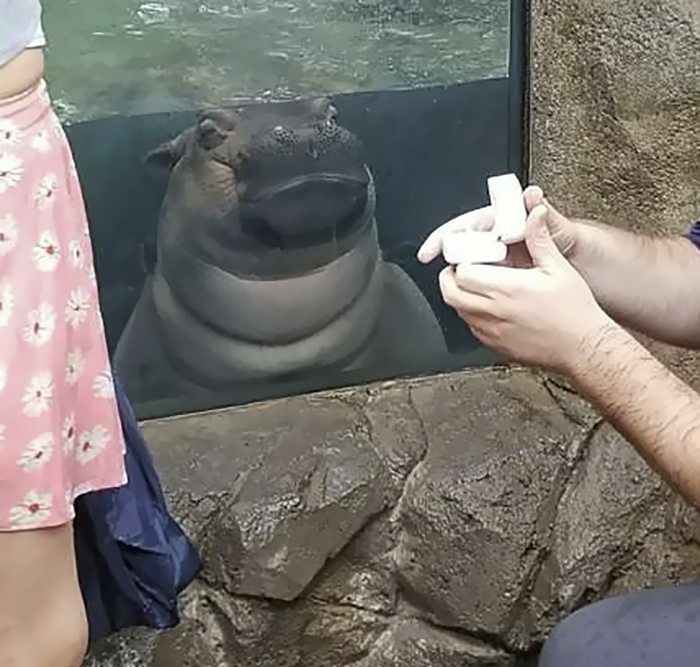 Not only that, any updates on Fiona received an average of 35,000 likes, which was ten times of any post that the zoo had posted. The zoo’s communication director, Michelle Curley, has even called the phenomenon “Fionamania”. 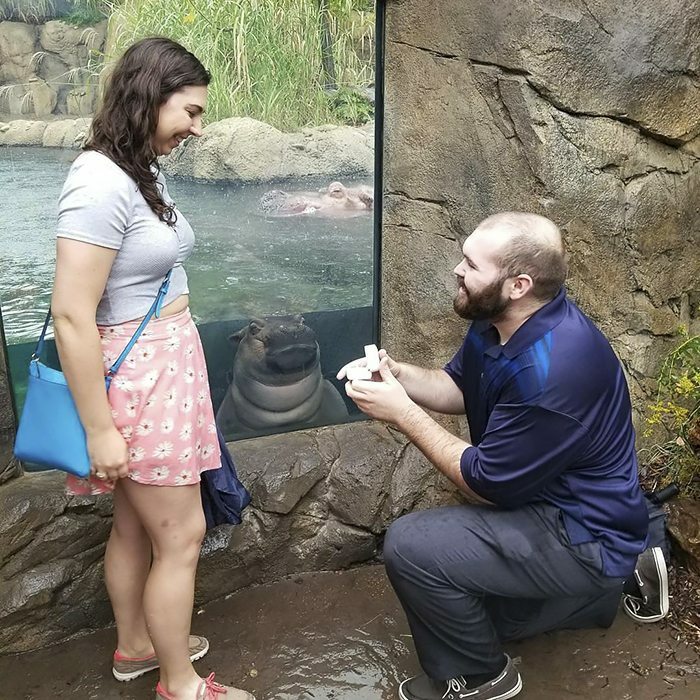 So to a man named Nick Kelble, there was no perfect place to propose other than in front of Fiona’s tank. Kelble’s girlfriend, Hayley Roll, had originally thought that this was going to be an ordinary trip to the zoo and was excited to meet Fiona. When the couple got in front of Fiona’s tank, Roll wanted to take a photo with Fiona so she requested a passerby to take a photo for them. 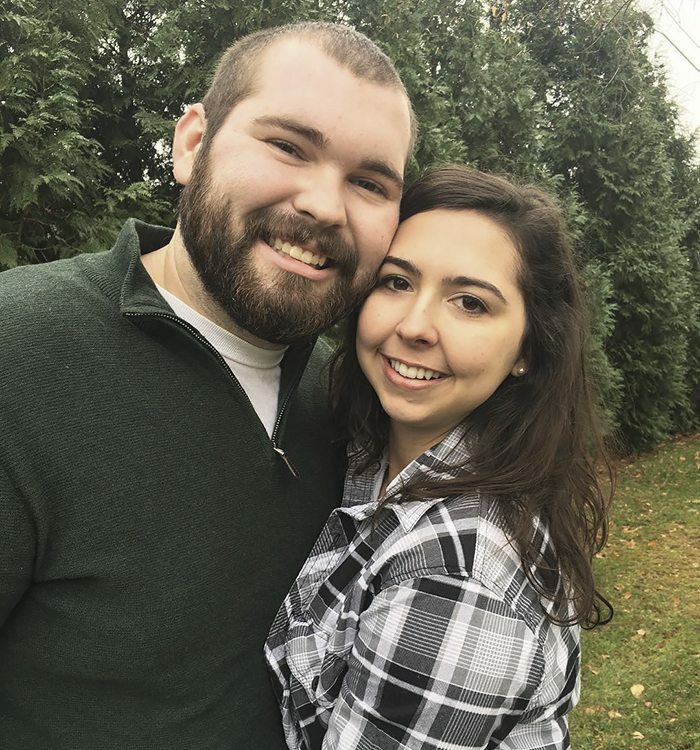 However, as soon as she turned around, she was surprised to find her boyfriend kneeling down on one knee with a ring in his hands. At that precise moment, the passerby snapped a photo of the proposal, capturing this beautiful moment. Later on when the couple took a look at the photo, they were amused to see Fiona herself in-between them! Needless to say, Roll’s wish did come true in the end!